Most visitors land in either Chengdu, Beijing or Shanghai if they are travelling from Tibet to China. 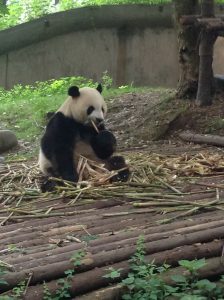 Chengdu is further away from Tibet than the other two cities and the ride was nothing short of a nightmare, but the cute black and white faces of the pandas made it all worth it. 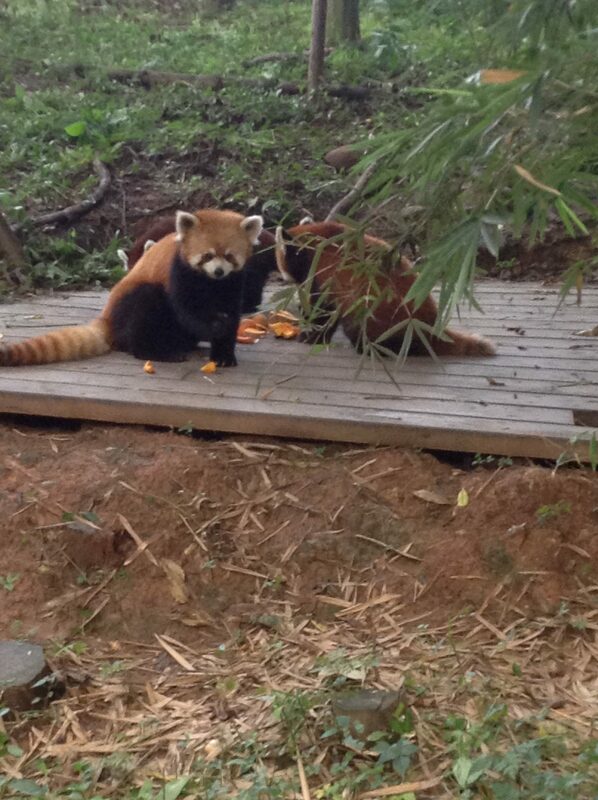 They had red pandas too. 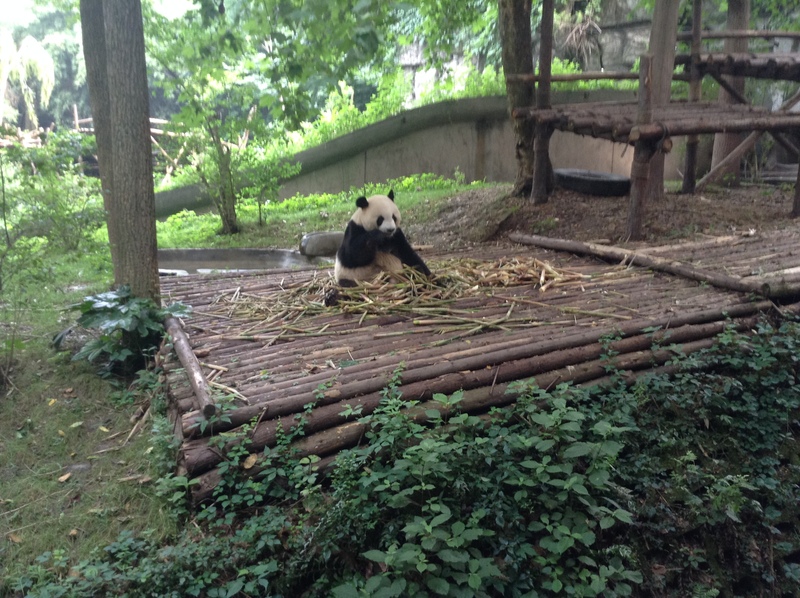 Most visitors come to Chengdu to see the pandas. 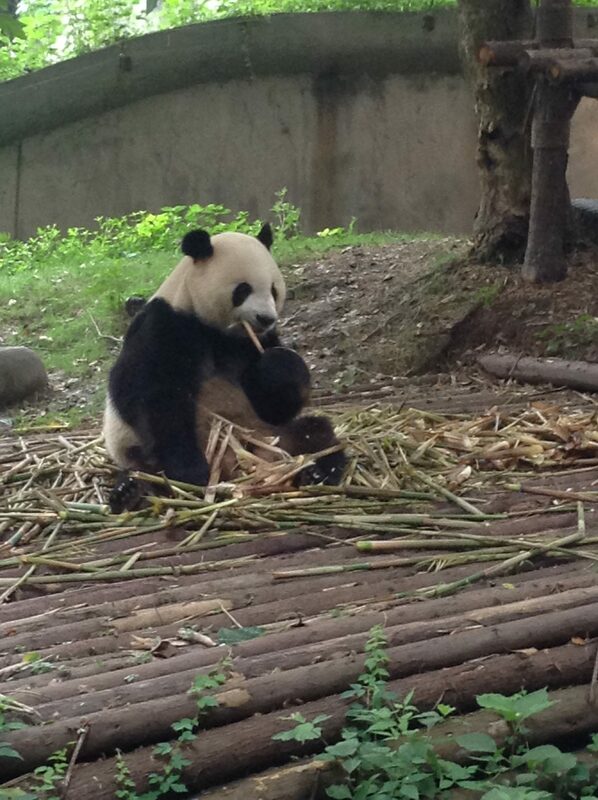 Indeed there are many tour agencies that offer half day or full day tours to the Chengdu Research Base of Giant Panda Breeding. 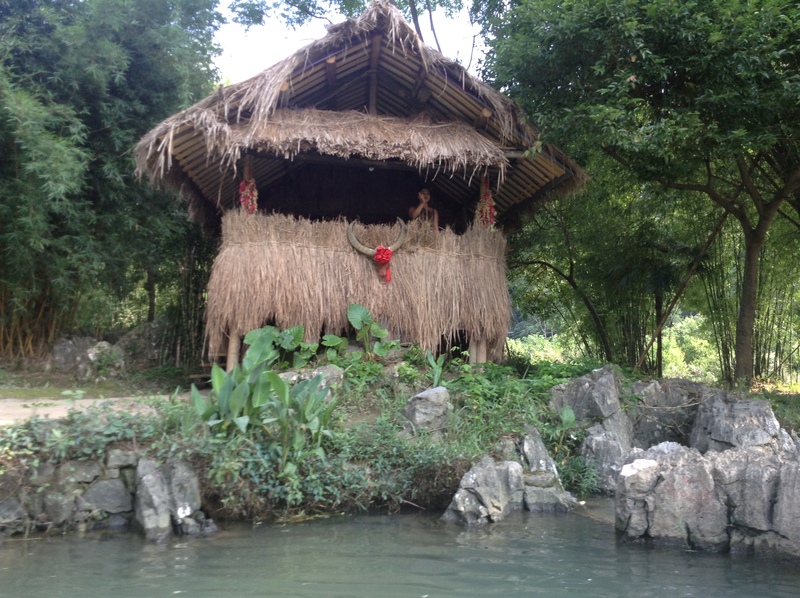 If you pay a little more, you can even get to hug one of the cuddly bears, although my bravery didn’t extend that far. The base is dedicated to the not-for-profit research and breeding for giant pandas and other rare animals. It is popular with tourists all over the globe and also features a museum, laboratory, restaurants and a screening room that broadcasts shows about the work they do at the centre. I opted for the half day tour, which lasted for about 3 hours but was enough to get an overall feel of the centre and see most of the bears. 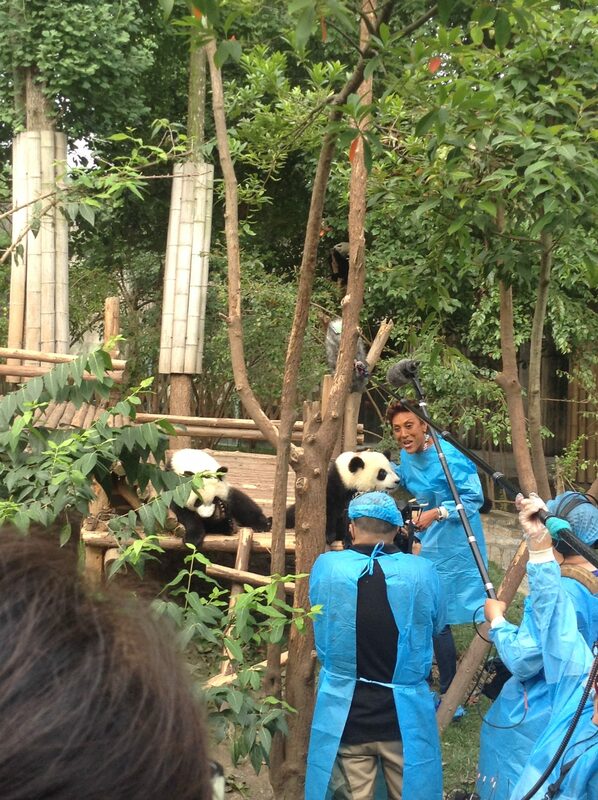 On the day I visited the centre, TV presenter Robin Renè Roberts from Good Morning America was also there and was holding and feeding the pandas, in front of a large crowd and camera crew who had come to see her. It was in Chengdu that I met fellow traveller Tomer, a friendly man from Israel, who I later met again in Thailand. 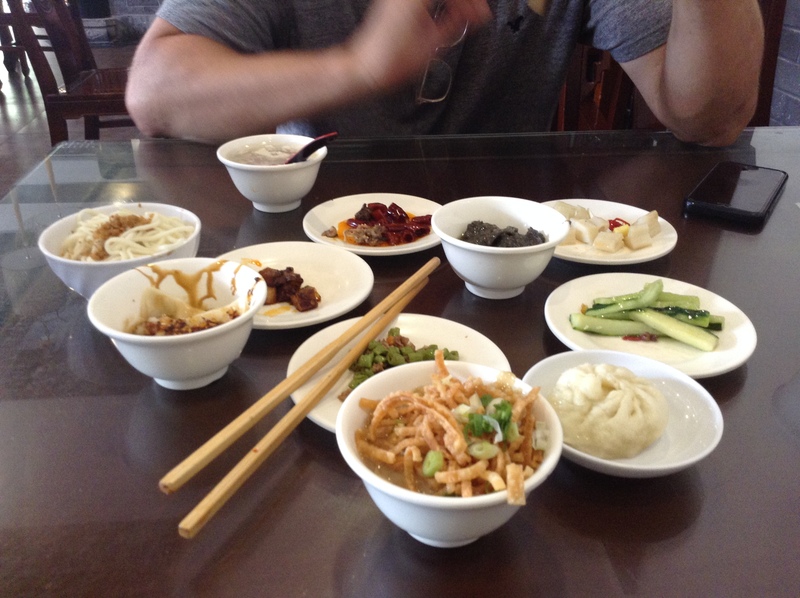 In Chengdu we sampled many weird and wonderful dishes together, including flattened duck testicles and slimy, white dessert dough balls. 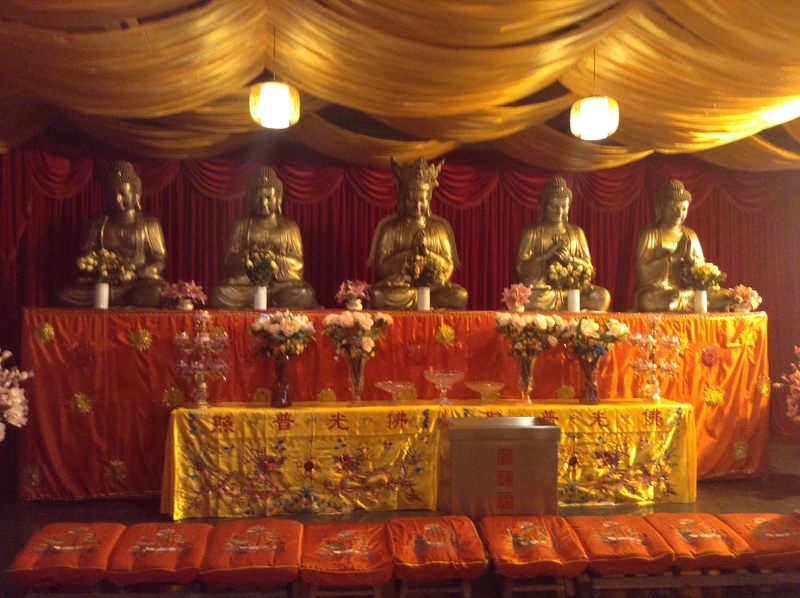 These balls of dough come with a grey filling inside, known as Tangyuan, which is made from glutinous rice. 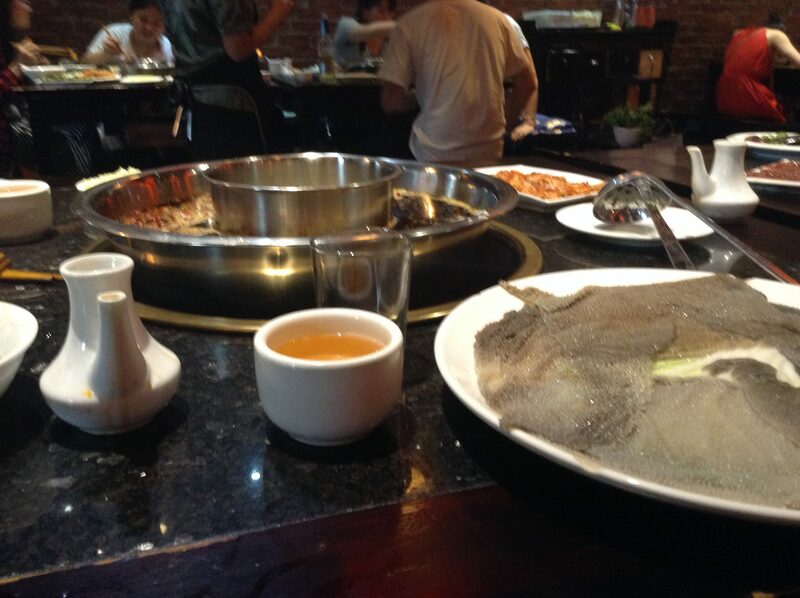 Chengdu, which is based in the Sichuan province of China, is famous for its hot and spicy hotpots. A word of warning here: if you’re a lightweight when it comes to spices, then you may struggle with many of the dishes in Sichuan. 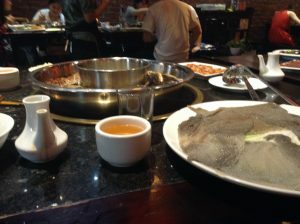 Fiery dishes are a speciality here. 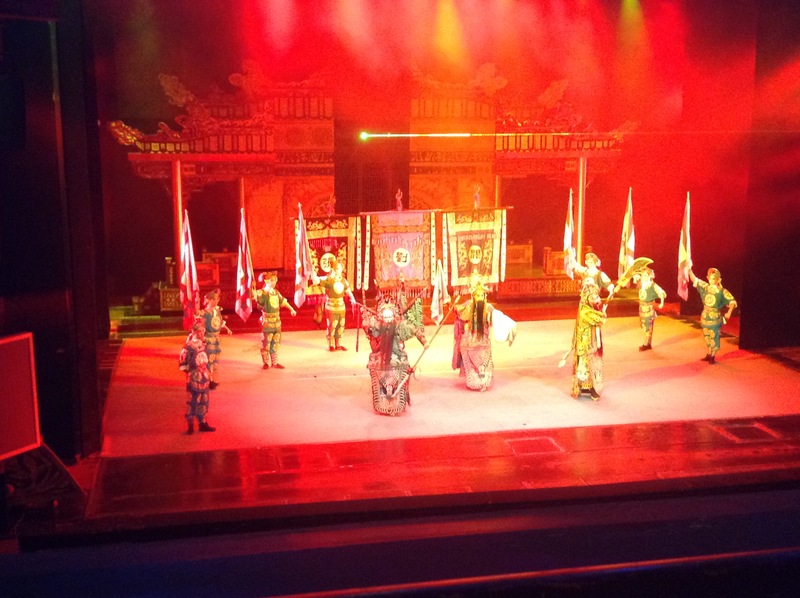 In the evening, I went to see a Chinese opera known as Bian Lian. 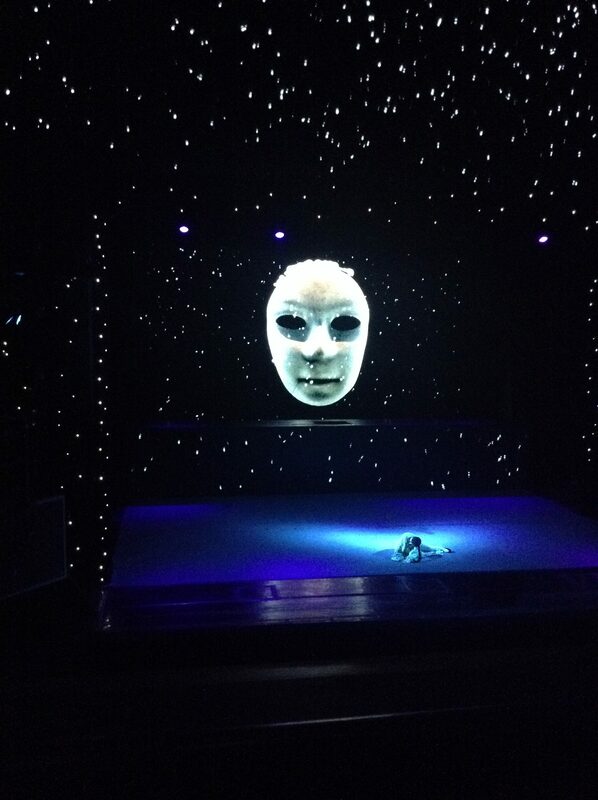 It features some of the most spectacular dance moves I’ve ever seen and the actors and actresses mysteriously manage to change their masks right before your very eyes, without you ever knowing how. 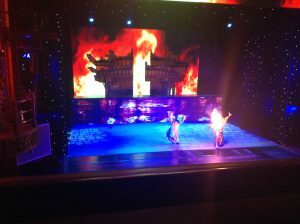 This art form has become famous all over the world, and the show also included impressive light displays and storytelling. 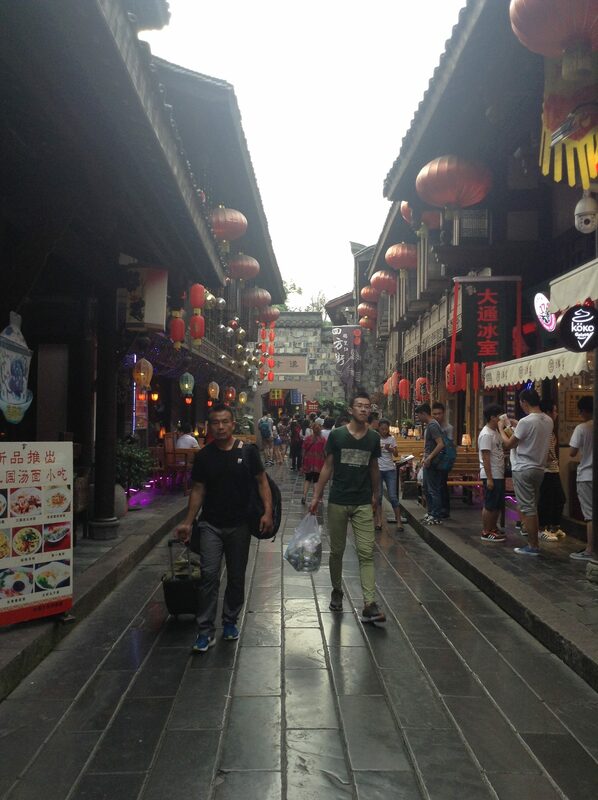 The next day, I went to visit Jinli Ancient Street with Tomer. Jinli is a very touristic and crowded street and is jam-packed with markets selling everything from souvenirs, craft shops, artwork to traditional food and pastry stalls. 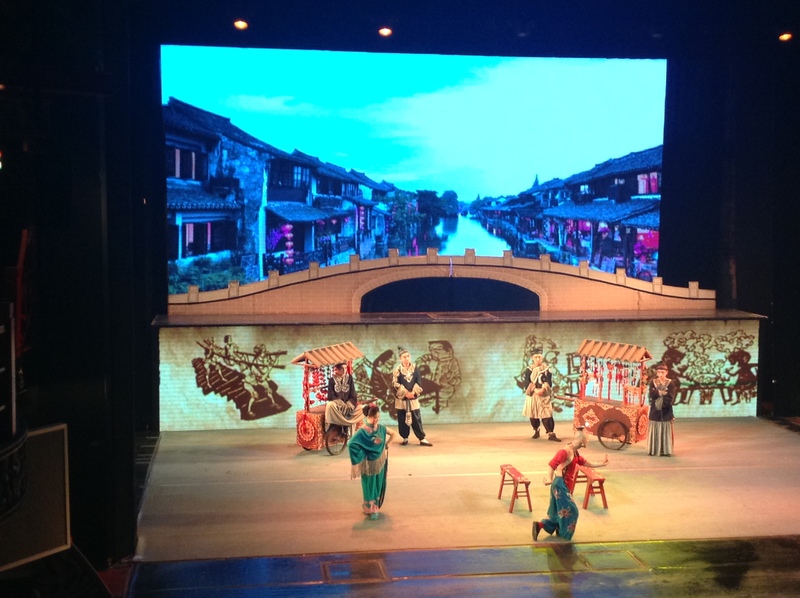 It is an ancient commercial street that dates back to the Qin Dynasty (221 BC – 206 BC). Back then, it was the most famous place for baldachin – a rich, ornate cloth. 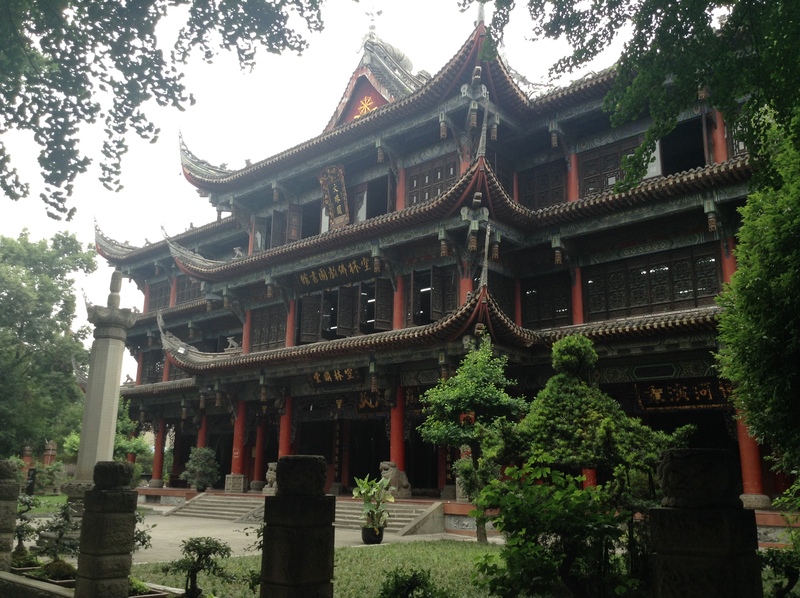 Known as the ‘First Street of the Shu Kingdom’, it was one of the busiest commercial areas during that period (221-263 BC). As with many historical areas in large Chinese cities, it has now been remodelled with upmarket stores, Western cafes and bars, giving it a modern twist. 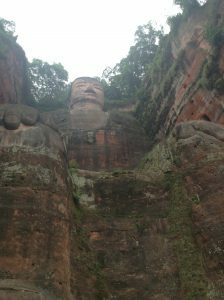 While I was in Chengdu, I also took a trip to see Leshan – a 71 metre tall Buddha statue located about 90 minutes away from the city. The giant Buddha site was heaving with both Chinese and Western tourists and involved climbing up lots of stone steps. 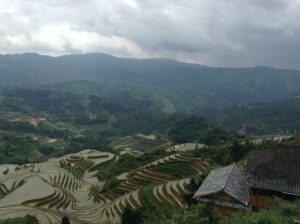 In the suffocating heat, it was more than a little challenging, and yet, utterly worth it. 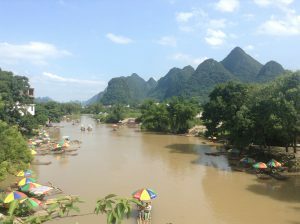 You see, the site is also home to caves, temples, market stalls and rural villages. 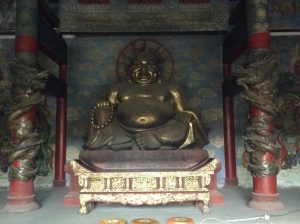 So once you view the gargantuan Buddha from the top and the bottom, you can clamber over various mountains and rocks to explore the other hidden enclaves, pagodas and jungle that surrounds this ancient piece of craftsmanship. Built in 803, during the Tang dynasty (603-913), Leshan is a UNESCO World Heritage site, and one that is well worth seeing. 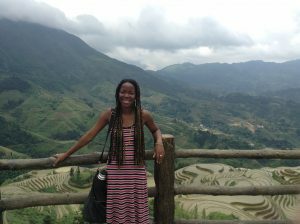 During my time in Guilin, I went with Tomer to visit many beautiful gardens and temples with curved roofs that stand as a real testimony to Chinese architecture. 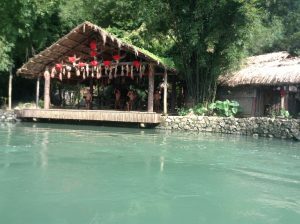 Another great place I went to was Guilin, which is located in the Yunnan province of China. 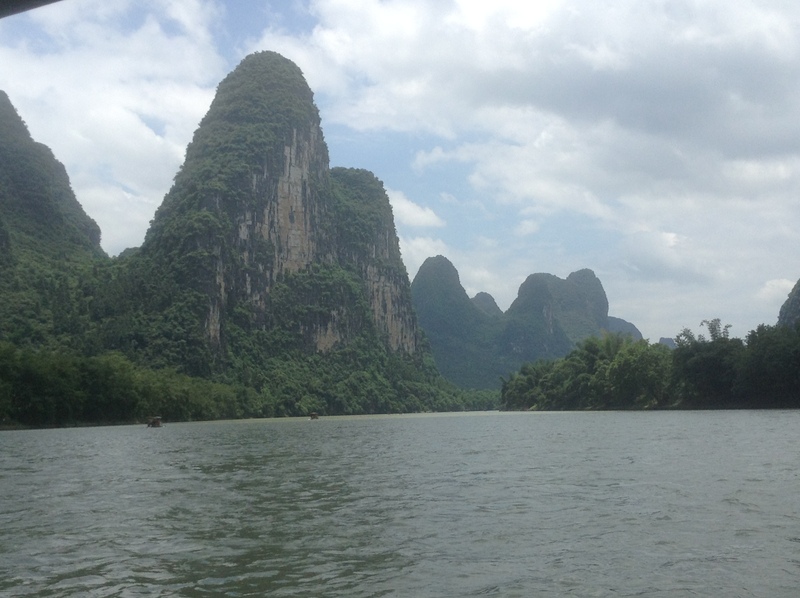 Guilin is home to the Karst landscape, which are cone-shaped protruding mountains, characterised by limestone, caves and dolomite rocks. There are many boat tours that take visitors around these beautiful mountains and enclaves. 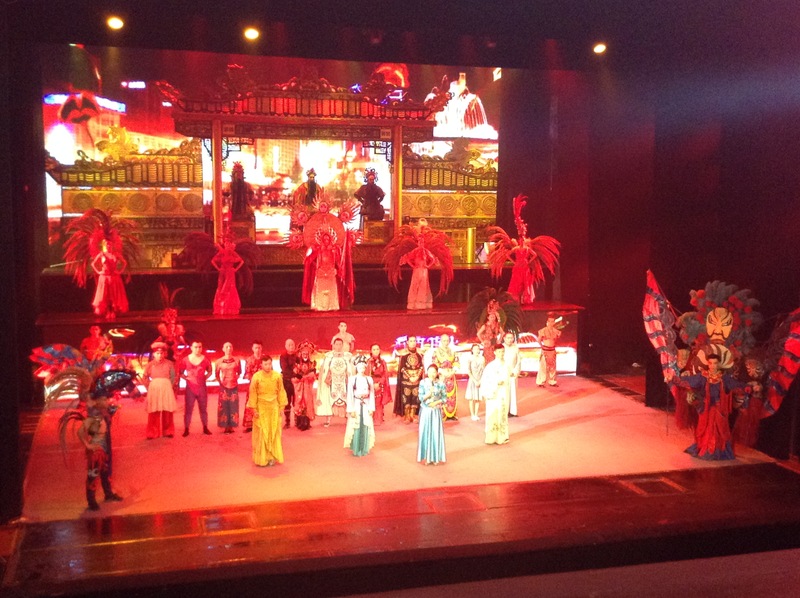 The tours also typically feature performances by ethnic minority groups in China. 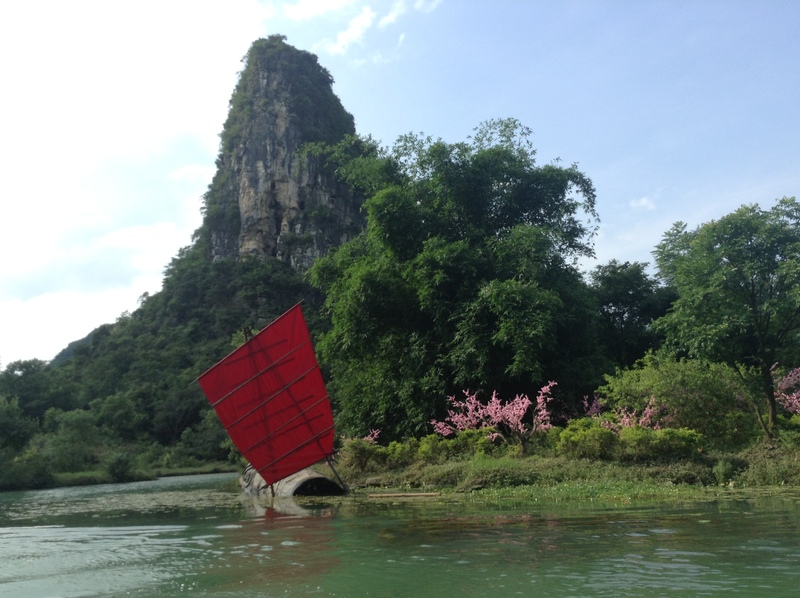 I took one of these tours, across the waters and into the limestone caves, and it was the best and most memorable 45 minutes I spent in China. 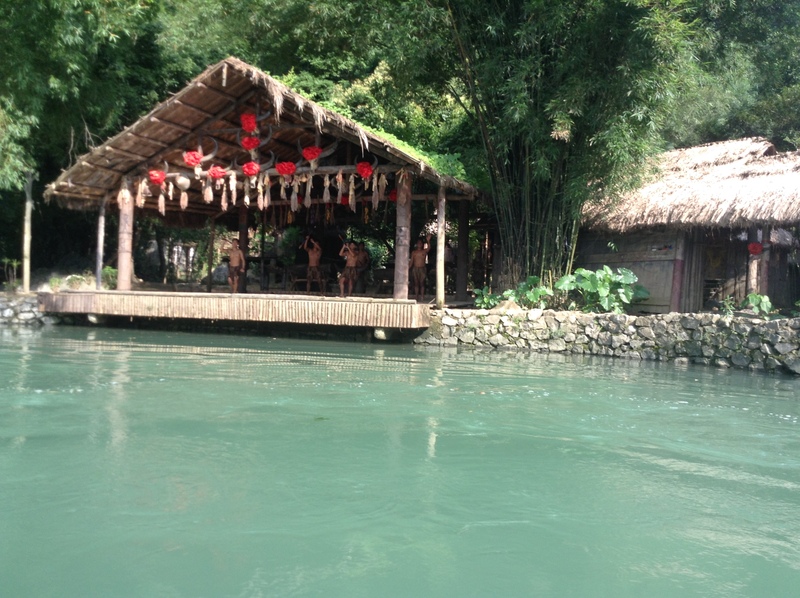 During the tour, our group was invited to take part in a traditional folk dance by the Miao people, one of the four main ethnic minorities in Guilin. After I danced the afternoon away, I was surrounded by Miao people who were curious about the other main ethnic minority attraction – me. 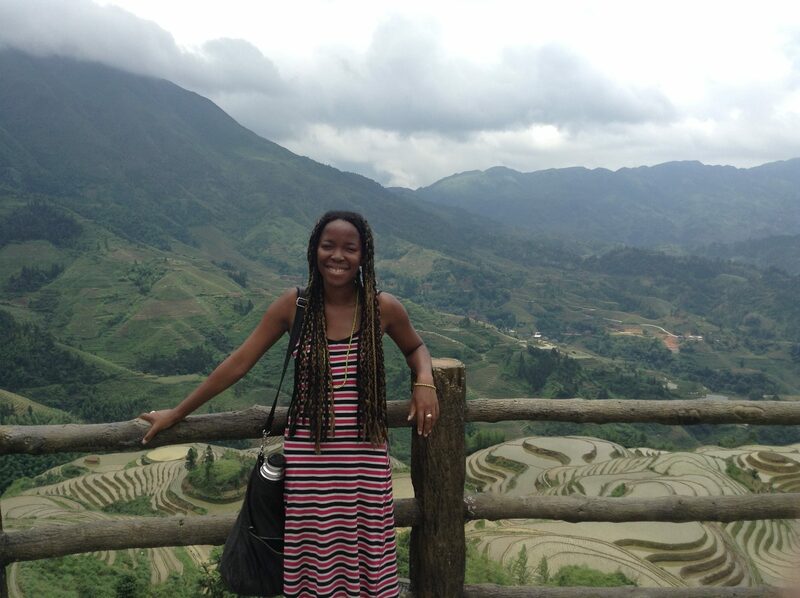 As one of the only black people in the group, I certainly did get a fair bit of attention everywhere I went. 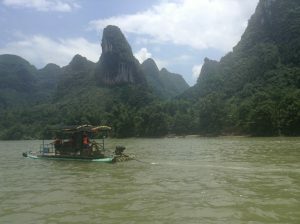 The riverboat tour ended with about half a dozen photo requests from the local people and several enquiries about my strange gold and black plaits! 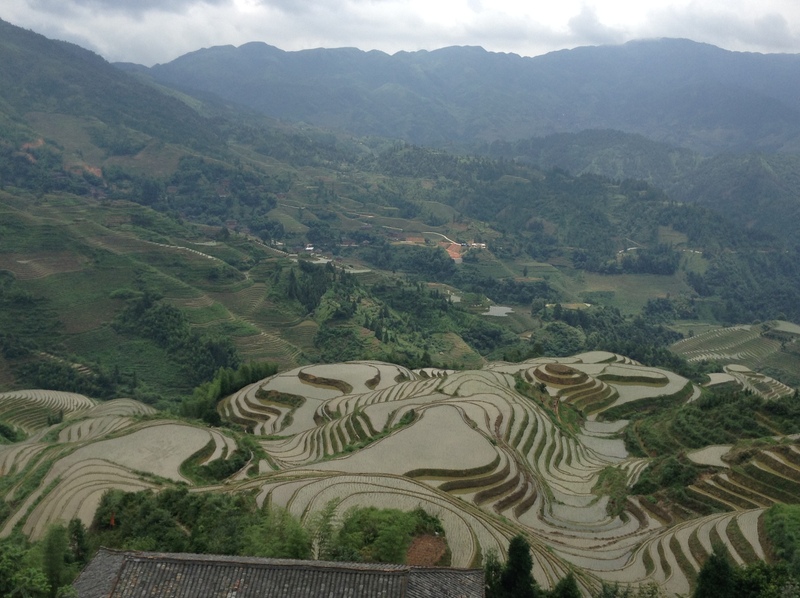 Guilin is also famous for its rice terraced fields in Longji, which visitors can trek at their leisure. 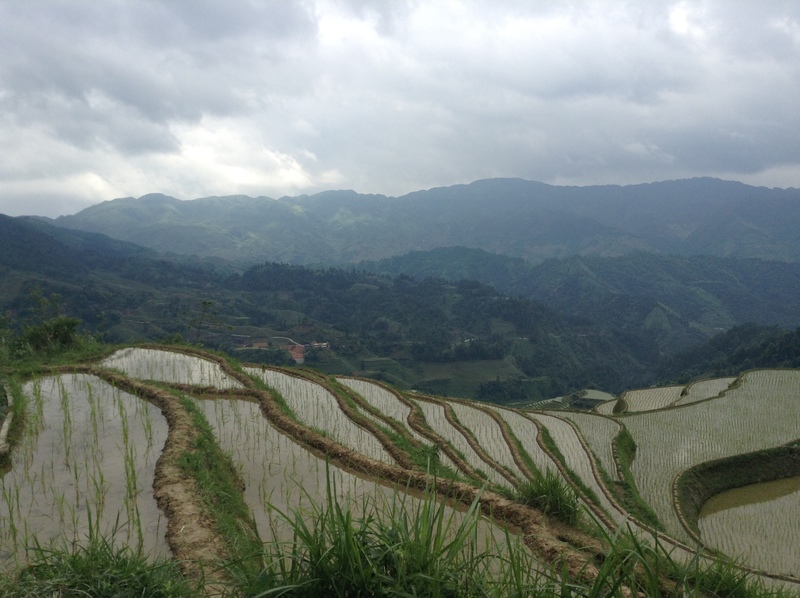 Hiking up the side of the mountains to get a bird’s eye view of the rice paddies was absolutely priceless. You know, I’m not much of a mountain hiker. In fact, if the truth be told, I usually avoid it at any cost. 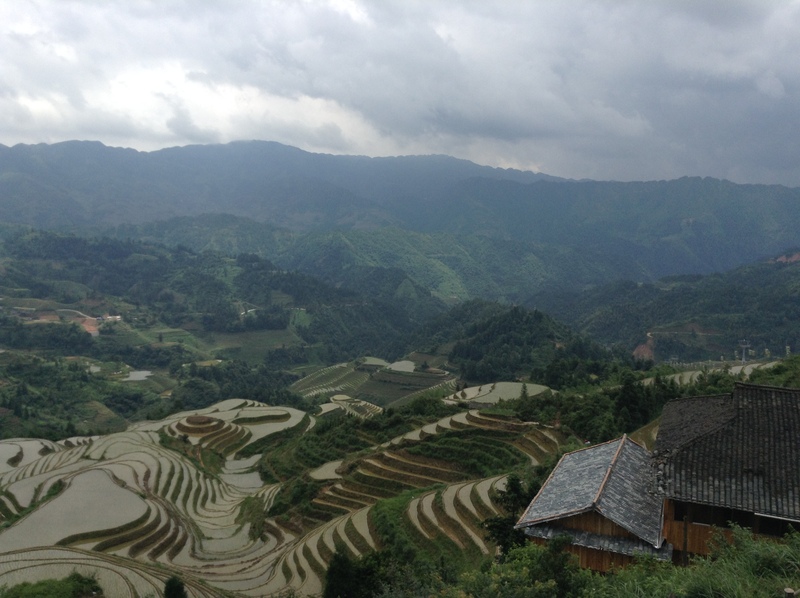 But some things are just worth the effort and this was no exception. Longji is also home to another ethnic minority group called Longsheng, who are known for their handicrafts and can often be seen at market stalls and souvenir shops. At the time I was hiking with two hilarious German guys, who were great fun and much more agile than me when it came to clambering up the steep rocks! Once I reached the top, I saw the vast and expansive swathes of rice paddies, surrounded by evergreen mountains topped by wispy clouds. 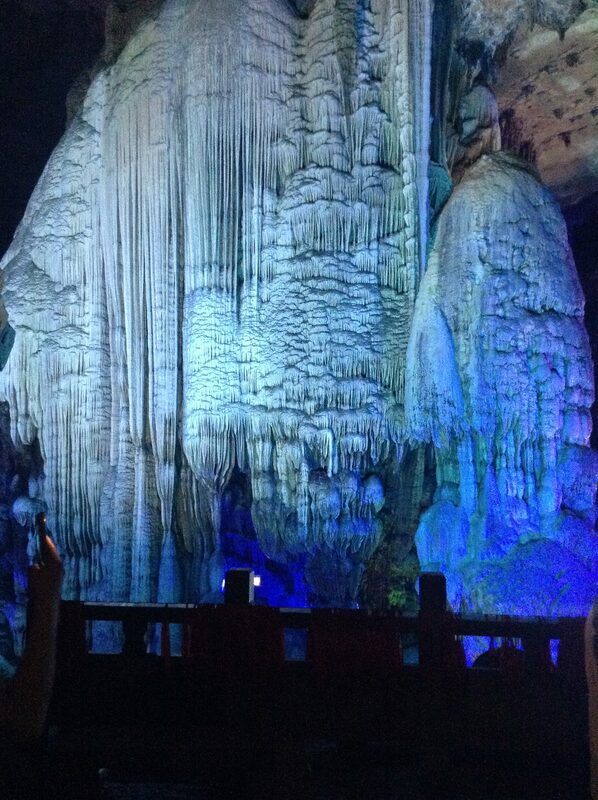 Next up was the silver caves in Guilin. 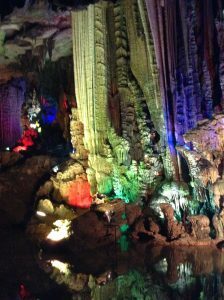 I took an audio tour through the caves, which provided a welcome respite from the heat. 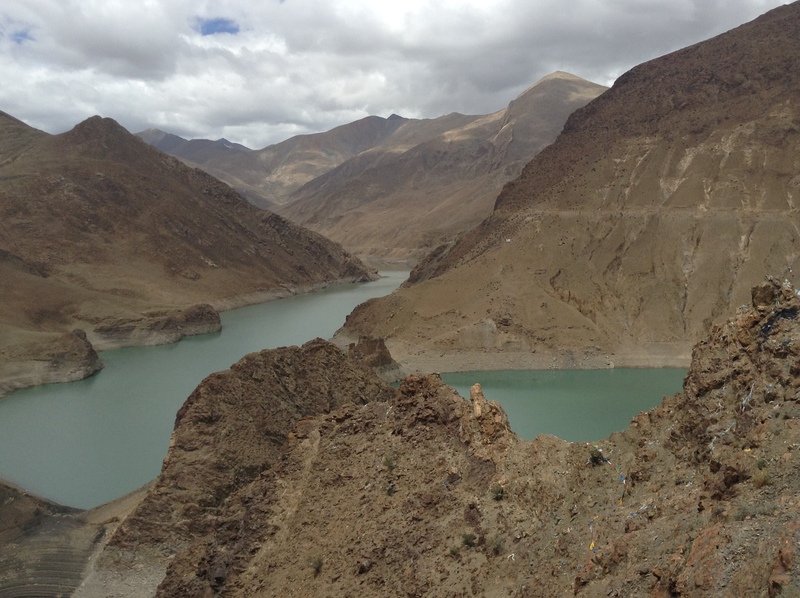 The tour itself took 30 minutes and after, I returned to the sweltering heat that awaited me. And do you know what else Guilin is famous for? Beerfish. This local delicacy is as the name suggests, a type of fish stew cooked in beer. And oh my, it was delicious. 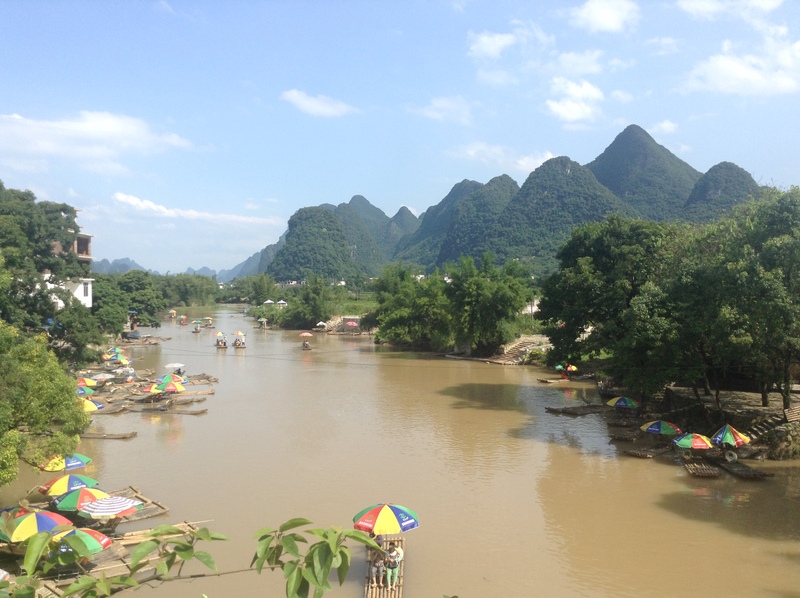 Guilin was one of my favourite places in China because of its beautiful limestone landscape and amazing tours, so it was hard for me to tear myself away from it to make room for Shanghai. 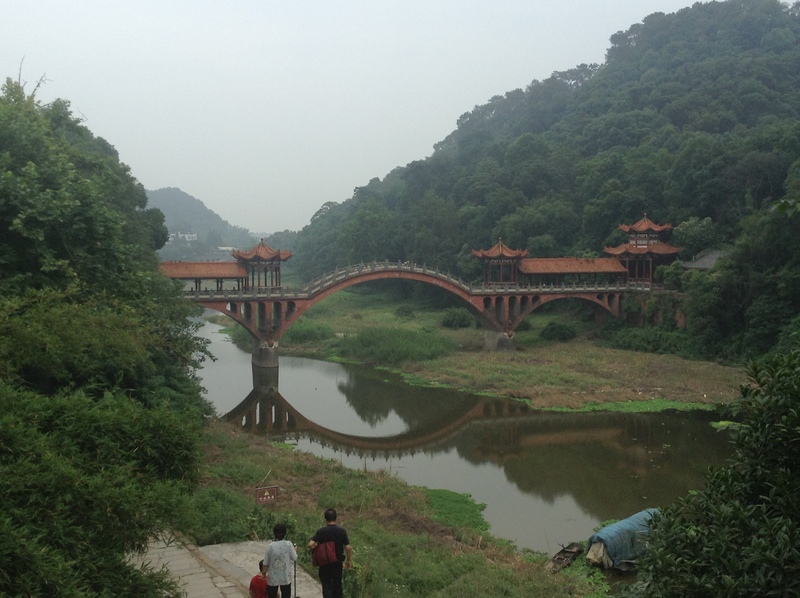 However, shortly before heading over to Shanghai, I spent a few days in Kunming, which although it has a pretty lake, was honestly nothing special. In fact, the city was so plain, I shaved 2 days off of my planned stop there and caught the 24 hour train to Shanghai. The city of Shanghai was the final stop of my 3 week stint in China and the glitz and glamour of the city certainly made me feel as though I left the country in style. 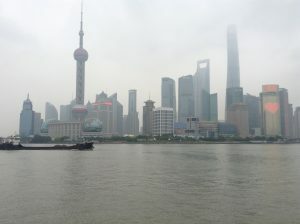 The city is a weird contrast to the communist regime of China as it features many high rise towers, skyscrapers, and high-end fashion brands such as Versace, Gucci and Prada. 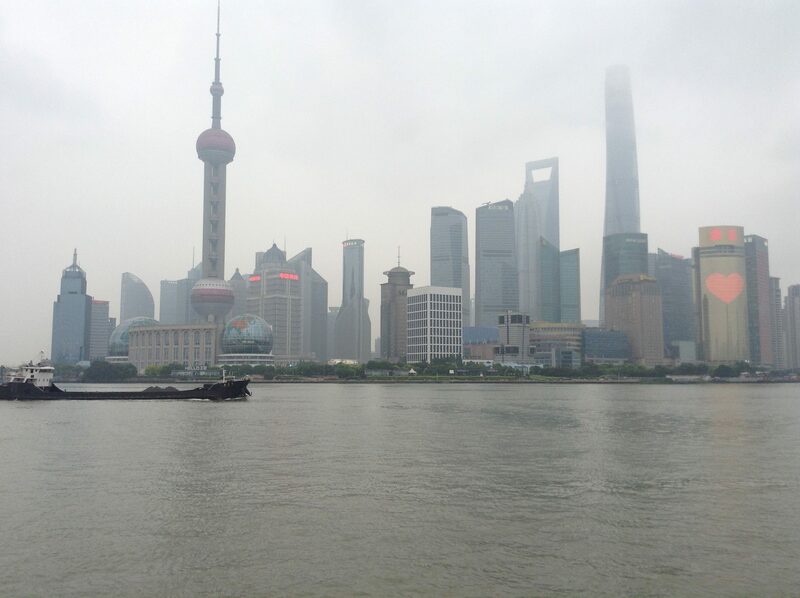 As a matter of fact when it comes to buying luxury, you’d be hard-pushed to find a better place than Shanghai. The prices aren’t bad either. 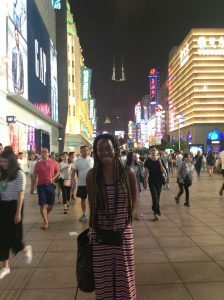 At night I liked to sit in the top floor of the Hilton hotel bar sipping on a cocktail, eating the complimentary peanuts and gazing out at the glitzy city lights and sci-fi landscape that is Shanghai. And as for the cost of all that? Let’s just say that if a cash strapped-backpacker like me can afford to sit in the Hilton, you know they’re charging China prices. 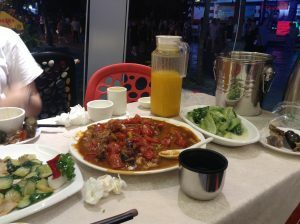 A cute American guy called Mark helped me to polish off my last few days in Shanghai. 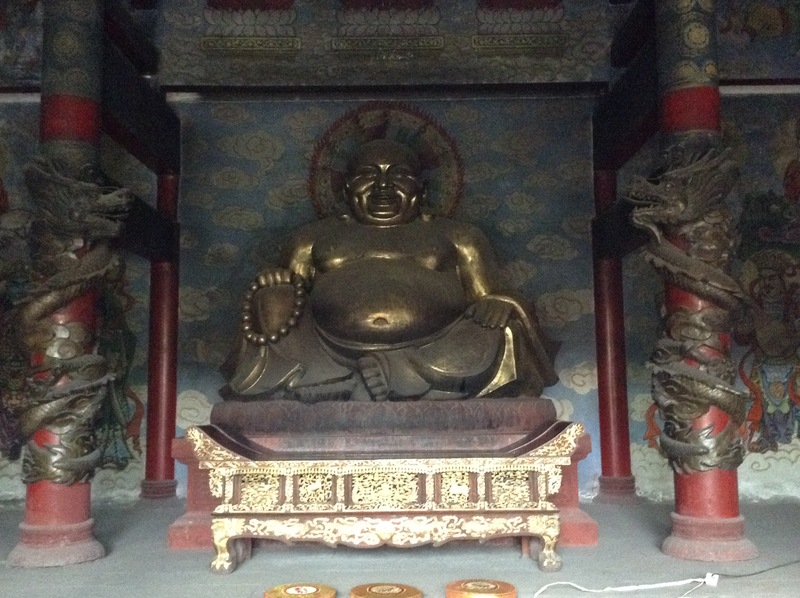 We ignored the stares and together conquered the city by eating Peking duck and hotpot at restaurants, walking along the canal and pretending to buy Ferraris…. Er, yeah that last one. You see, I discovered that dear Mark had a weakness for flashy cars. So when we walked past a car showroom, he practically dragged me in “just to look at them”. Then he wanted to sit in one…so he figured that if we pretended to want to buy another Ferrari to add to our imaginary collection as “husband and wife”, it wouldn’t be quite as embarrassing. The circus involved using sign language and flamboyant gestures to communicate with the non-English speaking sales staff. During the humiliating five minute ordeal, Mark let slip that he wasn’t in fact a multimillionaire intending to buy a car and actually just wanted to sit in the car and fantasise. The salesman shook his head in cynical disbelief. We or rather, I, decided it was a very good time to make a quick exit. 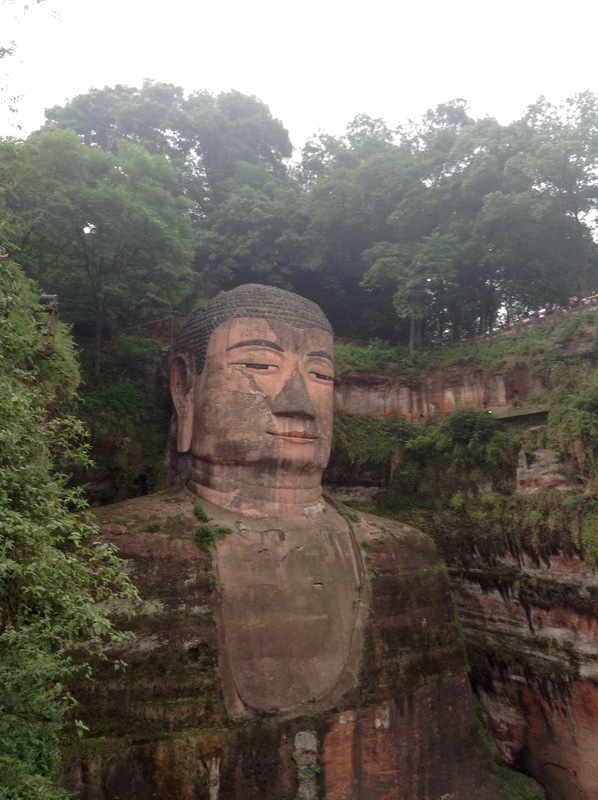 I have now realised that I love China, so all in all it was a pretty good trip.